This was despite Netanyahu’s intimation that Israel intended to adopt the Kerry framework, albeit with reservations. Obama accused Netanyahu of leading his country towards disaster, condemned the “more aggressive settlement construction” and rhetorically asked “Do you resign yourself to what amounts to a permanent occupation of the West Bank?” He effusively praised Mahmoud Abbas – who had rejected Olmert’s offer for 97% of territories over the green line and refused to even conduct negotiations unless Israel released mass murderers whom he currently fetes as heroes. 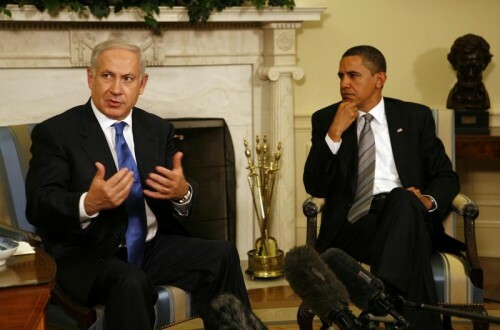 Obama made no reference to Palestinian intransigence and total unwillingness to compromise. Obama’s most ominous remark was a veiled threat that unless Israel made further concessions, the US would be limited in its ability to protect Israel from “international fallout” at the United Nations and other international bodies. Some allege that Obama was playing “a good cop bad cop routine” with Secretary of State Kerry who despite his earlier role conveying similar intimidating threats against Israel, was now reverting to a pro-Israel posture. The more likely explanation is that in the absence of another election, Obama no longer feels obliged to be nice to Israel and is unconstrained in promoting his biased outlook. To Netanyahu’s credit, he retained his cool and avoided directly confronting Obama’s offensive remarks. 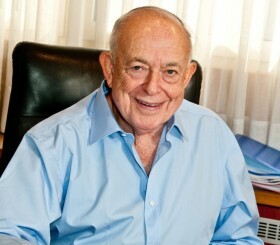 He said that “Israel has been doing its part, and I regret to say that the Palestinians haven’t”. He added, “The tango in the Middle East needs at least three. For years, there has been two – Israel and the US. Now it needs to be seen if the Palestinians are also present”. Reiterating his desire to achieve a peace settlement, he nevertheless emphasized that he would resist any pressures that could compromise Israel’s security needs. In the midst of this, the Ukraine crisis exploded and Obama’s impotent response again highlighted the dramatic retreat of the US from the world stage. Obama’s incompetence and failed diplomacy led to the debacle in Syria which, combined with his misguided support of the Moslem Brotherhood in Egypt, paved the path for Russia to resume its role as a central player in the Middle East. Obama’s courting and appeasement of extremist adversaries like Iran and his alienation of friends and hollow threats have convinced traditional allies that the United States has become a paper tiger and can no longer be relied upon. Many regard Obama as even more ineffective than President Jimmy Carter. However, when faced with another insoluble maelstrom in the Ukraine and humiliation by Putin and requiring congressional support, Obama must have realized that it would be somewhat bizarre to launch a new confrontation with a democratic ally. At the joint press meeting with Netanyahu, Obama gushed that “we do not have a closer friend or ally than Israel and a bond between our two countries and our two peoples is unbreakable.” In a 360 degree reversal, he commended Netanyahu’s efforts and praised him for having “conducted these negotiations with the level of seriousness and commitments that reflects his leadership”. Netanyahu responded indirectly to Obama’s earlier outburst stressing that “the best way to guarantee peace is to be strong and that’s what the people of Israel expect me to do – to stand strong against criticism, against pressure, stand strong to secure the future of the one and only Jewish state”. He emphasized that “what we want is peace – not a piece of paper… a real peace… based on mutual recognition… a peace that we can defend”. He urged Obama to cooperate with Israel to prevent Iran from producing nuclear weapons. He concluded with formal praise of President Obama and especially John Kerry for their tireless efforts to promote peace. After the meeting, according to news agency AJP, a senior administration official described the talks as “not as contentious as on previous encounters” and said that the president told Netanyahu that he would “push Palestinians,” to match any Israeli concessions. And so we witnessed an extraordinary reversal. At the subsequent AIPAC conference, Secretary of State Kerry was effusive in his praise of Israel and Netanyahu. He called on Palestinians to recognize Israel as a Jewish state and stressed that Israel could not compromise its security. In his AIPAC address, Netanyahu made scant reference to the president. He restated the danger of a nuclear Iran, reiterated the need for the Palestinians to recognize Israel as a Jewish state and refused to compromise on security issues. The bulk of his speech was devoted to passionately conveying his desire to reach a settlement with the Palestinians, stressing the great economic, political and social benefits that peace would bring to Israel and the region. The speech reflected the centrist position that he had adopted and thrust the onus on the Palestinians. It was an extraordinary display of good diplomacy, for which Netanyahu deserves full credit. Yet, we should be under no illusions. Despite the ultimate ritual exchange of diplomatic pleasantries, the negative chemistry and ideological differences between President Obama and Prime Minister Netanyahu seem unbridgeable. Obama’s calculated savage outburst against Netanyahu prior to his arrival stands in stark contrast to the soft and engaging language he consistently employs towards leaders of rogue states like Iran. Despite the chaos and bloodshed engulfing the Middle East and other parts of the world, Obama remains obsessed with beating up Israel. 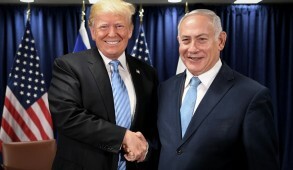 His latest outburst reinforced the concerns of most of the Israeli public that he lacks any real understanding of the situation and confirmed their estimate of him as the most hostile US president Israel had ever encountered. Israel will go through the ritual of approving the Kerry framework agreement with major reservations. If the Palestinians do likewise, negotiations will continue, although nobody will be holding their breath in expectation of a positive outcome in the short-term. The best achievement would be an agreement to concentrate on interim solutions until such time as the Palestinian people and their leaders are genuinely willing to engage in peaceful coexistence. 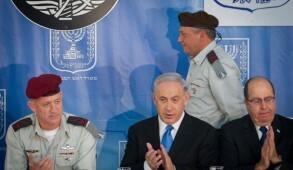 But for the next two years whilst Obama is in office, there must be a concerted effort to retain American public and congressional support in order to deter the current administration from implementing Obama’s threat to stop protecting Israel at the United Nations and other anti-Israeli dominated international forums. In addition, we must not become complacent about the special military assistance and cooperation we receive which was even strengthened by the Obama administration and remains crucial for the IDF to retain a qualitative advantage against its adversaries. To this end Israel must seek to minimize public disputations with the administration and strengthen our standing amongst the American public. 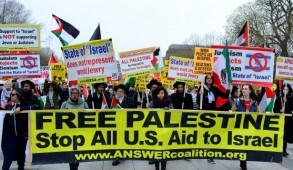 AIPAC must endeavor to retain the support of a bi-partisan Congress. We must also continue to demonstrate our willingness to reach a reasonable accommodation with the Palestinians if their leaders come to their senses – a highly unlikely eventuality. As we witness the consistent US abandonment of its major allies culminating with the ongoing Ukraine crisis, it is now evident that under Obama, it is unlikely that the US will resort to military power to defend its friends. 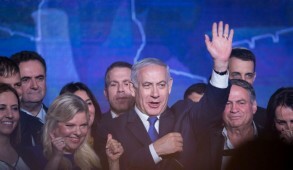 In this climate, most Israelis would endorse Netanyahu’s determination not to compromise on security or be willing to subcontract areas controlled by the IDF to any third parties, including NATO.